The Dream Syndicate Awakens From Its Slumber. 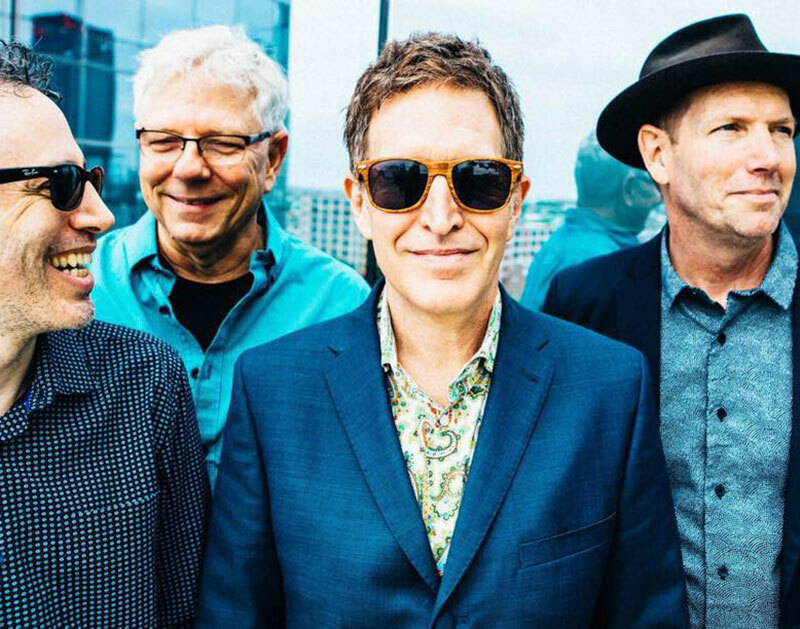 With His Seminal Band Now Back In Swing A Full Three Decades After It Broke Up, We Ask The Dream Syndicate’s Steve Wynn How He Found Himself Here. As one of the founding bands of Los Angeles’ so-called Paisley Underground, The Dream Syndicate was one of the “it” bands of the early ’80s, an act that beyond critical acclaim — its 1982 debut, The Days of Wine and Roses, ended up on several album-of-the-year lists and landed the band a contract with A&M Records — was also something of an industry darling, opening up on tours for the likes of R.E.M. and U2. But that run only lasted for so long. While the band released four albums over the course of six years in the ’80s that alluringly merged the dense psychedelia of The Velvet Undergound with hints of jangle-pop and Americana, it would disband by the end of that decade. In 2012, though, frontman Steve Wynn reformed the band alongside original members Dennis Duck and Mark Walton, and The Dream Syndicate was rather gloriously reborn. Then, last year, the band released How Did I Find Myself Here?, a blazing, ballsy and brutally loud new collection of psychedelic-tinged rockers that very much finds the band returning to form. In anticipation of the band’s upcoming stop at the Granada Theater on Friday, January 19, we spoke with Wynn about his band’s new album and his long history in alternative music. You reformed the band in 2012 and your band’s 2017 album, How Did I Find Myself Here?, is the band’s first since 1988. When you were recording the new album, did you ask yourself the very question stipulated by its title? [Laughs.] No, it wasn’t that literal. The title was just the name of a song. When the album was finished, we had to give it a name. Once we landed on that, it did make complete sense. I think the title says a lot about everyone’s life right now. And it does apply to a band that disappeared 30 years ago and came together and made a record again. How did we find ourselves here? The album earned positive reviews upon its release. Have you been surprised by the warm reception the album has gotten? We knew we were making something special, and we made ourselves a promise from the start that if we didn’t really love what we were doing, we wouldn’t do it. We did it under the radar, didn’t make a fuss about it and didn’t get a label. We just wanted to see what we could do. We knew from the first day in the studio that things were going well. That being said, you never know how people are going to respond. It was scary to come out after all these years and make a record. It’s nice to appeal to those who have always liked us and to new fans who have just been turned onto us. The opening track, “Filter Me Through You,” sounds like it could have been on your earliest albums. However, other tracks bring in a subtle My Bloody Valentine influence. Was it intentional to being new ideas into the songwriting process? We started the record with the most familiar type of song. We wanted to kind of ease people into it. We wanted to start them there and then take them on a real wild ride. It was intentional to start with the most typical Dream Syndicate kind of song. I hear in the sound of the record a lot of bands who came in our wake and may have been influenced by us. There has always been a lot of attention given to the lead guitarists in The Dream Syndicate over the years — and there have been three (Karl Precoda, Paul Cutler and, currently, Jason Victor). But the rhythm section of Dennis Duck and Mark Walton has always seemed the anchor each version of the band in my mind. You’re right. I’ve played so many shows with Jason [in The Miracle Three] before we decided to reform The Dream Syndicate. But Dennis and Mark have a way that they play together, the way they groove. They literally set the table and make the foundation for us to build upon. It’s what they do, and it works for the band. The title track of the new album is another one of those epics that seem to be such a signature of your career. Did you intend for it to be 11 minutes long? I think we’ve always done songs that length well. From the very beginning, from the first time we got together in a basement in West Los Angeles and played “Susie Q” for an hour, we [knew we would] do well with long songs. This band is good at laying into one chord and not giving way. On this record, we decided to do more of that, particularly on that song. The Dream Syndicate also has legacy of being one of the few bands to record a great live album, 1989’s Live at Raji’s. People often mention that as one of the great live albums. It’s funny because we were playing at Raji’s, this little dumpy basement club in Hollywood, a beautiful dumpy basement club. It was one of many nights we played there. Eliot Mazer, who produced our last album [1988’s Ghost Stories], ran a DAT tape from the board. It was just one of those nights where he captured the sound well and we had a really good night and that record stands up. It was a lucky moment where everything fell into place. You said after the band’s failed time at A&M records that, “after the first concession, you are fucked.” Do you still feel that way? We really didn’t compromise when we were at A&M. I do think that way, but the fact of the matter is that, when we signed with A&M, all they wanted was for us to be who we wanted to be. We spent five months making Medicine Show and they came and visited us once. They came to San Francisco, got drunk with us and went home. Our thing at the time was to make a very different record than The Days of Wine and Roses. Ultimately, it makes sense to make the music you want to make and not compromise. The Dream Syndicate performs Friday, January 19, at the Granada Theater. Head here for tickets and more information. Previous ArticleThe Sausage King Of Dallas? He Still Reigns. Next ArticleGrowlersations, Ep. 11: Pete Zotos & Josh Hendy of St. Pete’s Dancing Marlin.